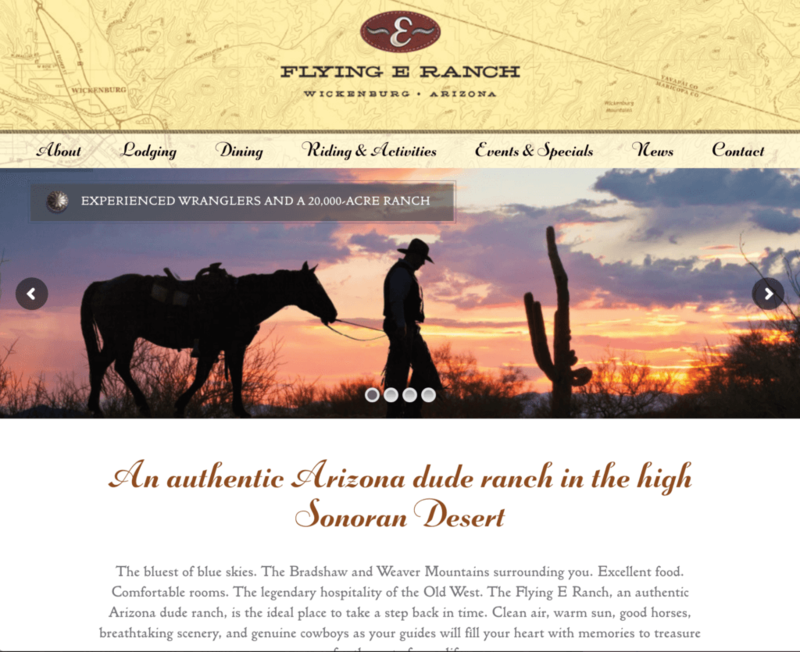 This dude ranch in Wickenburg, Arizona, needed a website upgrade to coincide with improvements they were making to the property. Working with Ember Design for visuals, we planned and developed a full-featured website that showcases the attraction and charm of the Flying E, including its setting, its activities, and its lodging options. Features include a booking widget that integrates with a full-featured booking engine, a home page slideshow with promos that link to relevant site pages, and a live feed of Trip Advisor ratings and reviews.